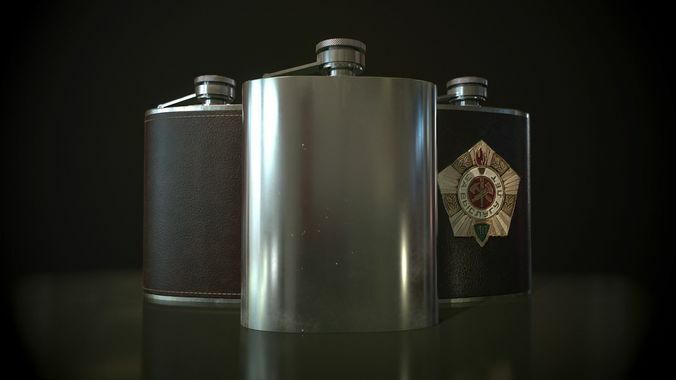 Classic hip flask, 3 different versions. Available formats: .fbx, .obj, .mtl, .stl. Suitable for Unity/Unreal and others that use PBR materials. Uses 2048*2048 PBR textures. Includes: albedo, metallic, roughness, normal (OpenGL) and AO.